The "Blue Harvest" gang were just teens when they crashed the set of "Return of the Jedi." A group of San Diegans is getting the Star Wars VIP treatment at the El Capitan Theater in Los Angeles on Thursday night. They were teenagers in 1982 when they crashed the set of "Blue Harvest" -- which turned out to be a cover name for "Return of the Jedi." 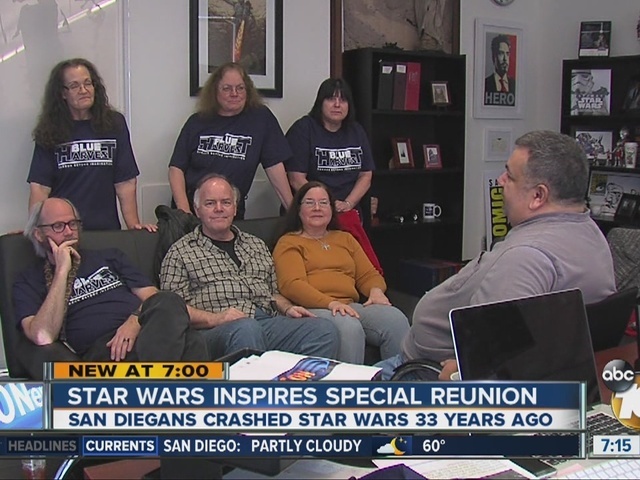 The San Diegans already forged a friendship based on a passion for the previous Star Wars movies, and they took a spur-of-the-moment trip into the Yuma desert when they heard George Lucas was making a new Star Wars movie. "Shelly called me at work and said, 'David, we're getting into the car. Do you want to go?'" recalled David Glanzer, who is now the public relations director for Comic-Con. "The very cool thing is they were trying to keep it a secret." The crews in the desert said the movie was called "Blue Harvest," but Glanzer and his friends saw through the cover up. They knew it was Star Wars but they embraced Blue Harvest. "One of the members of our group, Chris, made these Blue Harvest shirts and three months later, Lucasfilm was at a convention in Phoenix and we all showed up in Blue Harvest shirts," said Glanzer. The producers noticed, and it started a long-standing relationship. The Blue Harvest group stayed friends through the years, but they never had a reunion until "Star Wars: The Force Awakens" opened. "We thought wouldn't it be great if the gang got together?" Glanzer said. 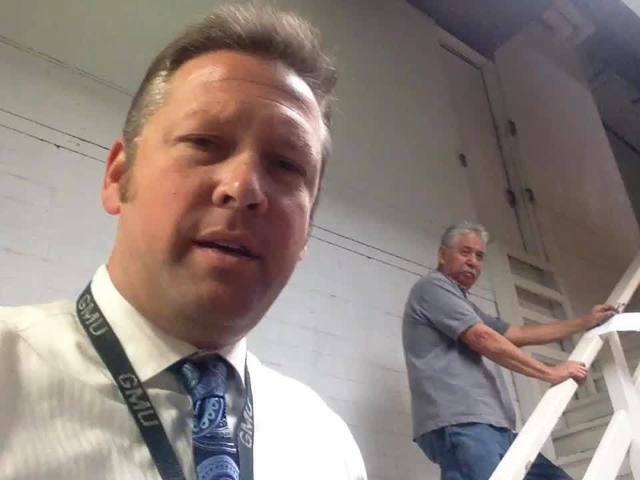 The Blue Harvest gang reunited Thursday 33 years after the trip into the Yuma desert.